Over the weekend, celebrities, fashion insiders, and music fans alike descended upon Indio, California for the first weekend of Coachella. Naturally, our feeds were filled with sunset shots of the Ferris wheel, videos of Ariana Grande belting it out, and of course, #ootds galore. Festival fashion has become its own subset of style altogether, with Coachella at the center of it all. No matter your thoughts on festival style, during these two weekends in April there’s no denying the plethora of free-spirited sartorial inspiration to be had. 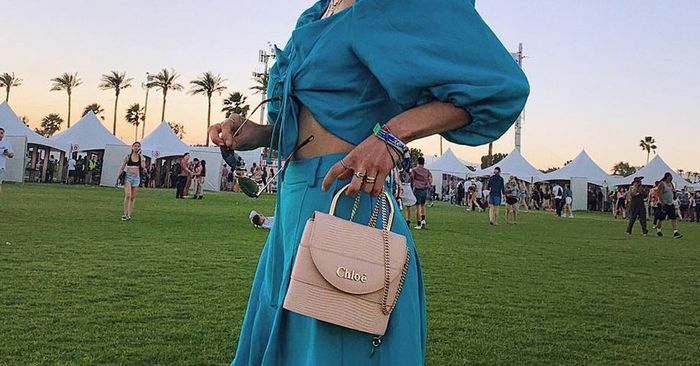 Which is why we’re here to download you on the key Coachella handbag trends everyone wore to the 2019 festival. Great minds think alike, so they say, and the celebs on our radar all had the same thought because there were three bag trends we saw everyone carrying. Scroll down to see which trends they all favored and shop our picks of each style—for your next festival and beyond.